Genre runs from April 15 through May 12. This month, Genre covers the WWII Big Band Era. All items at Genre are 100L or less. 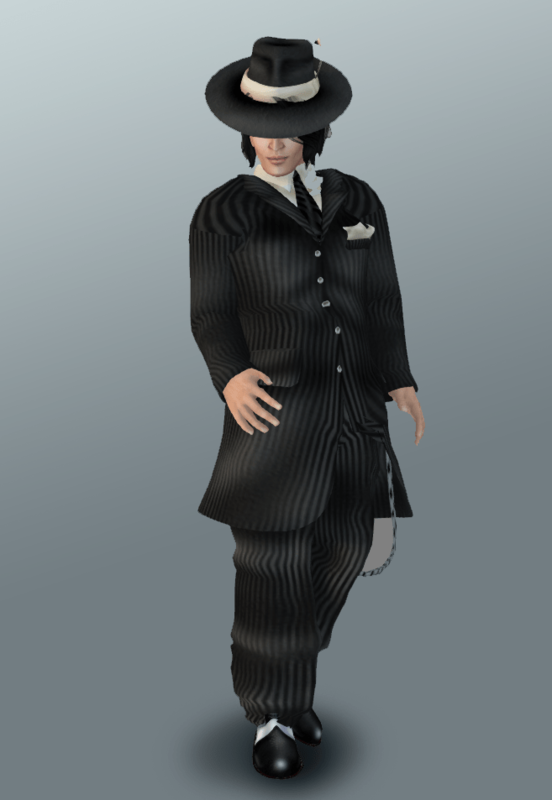 Avatar Bizarre is happy to present some mesh zoot suits! Be sure to get the demo before you buy. Rigged mesh with unrigged shoes, hat, and collar/tie combo. The shirt under the jacket is system layer. Available in seven colors!